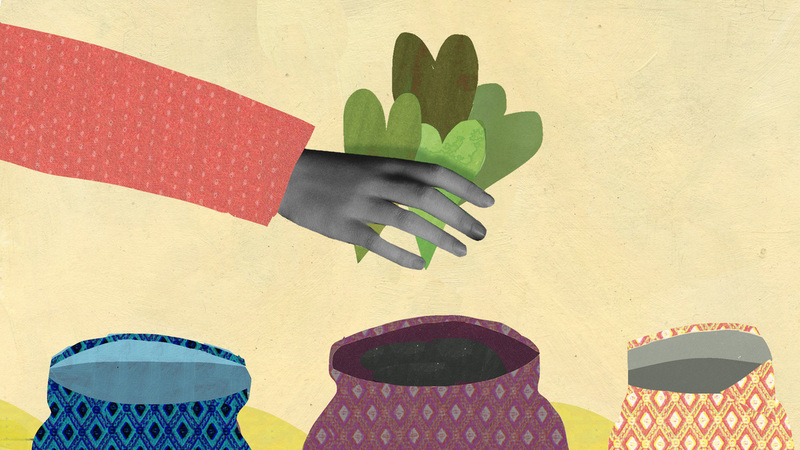 How To Make A Good Charitable Choice On Giving Tuesday — And Beyond : Goats and Soda Charities are clamoring for your money. We've got some advice to help you sort through the appeals. Today is the sixth annual Giving Tuesday – when charities ask us to take a pause from holiday and direct some of our dollars to worthy causes. But how to choose between all the groups clamoring for our donations today and as the year draws to a close? Catherine Hollander is a research analyst with GiveWell, a non-profit that exhaustively investigates potential giving opportunities for its annual list of recommended charities. NPR spoke with Hollander to come up with tips for would-be benefactors. Don't just give. Figure out your goals first. "On Giving Tuesday there are a lot of pitches," says Hollander. "Our first tip is to really think about what you want to accomplish with your charitable giving and not just give to the first organization that comes to you." Your priority could be improving access to education. It could be reducing hunger. It could be helping refugees overseas. It could be helping abandoned animals in your community. Whatever it is, says Hollander, "then go out and find the charities that help you accomplish that goal." Make sure the charity is actually doing good. Obviously you want to make sure that the charity you choose is honest — in other words that the money you give is being used for its stated purpose. So consider doing a quick internet search for news reports about any recent controversies or investigations and try to use basic common sense to suss out any red flags. But Hollander says that requirement is the bare minimum: "At GiveWell the question we're asking when we're looking for charities to add to our list isn't just, 'Is a charity doing the program that it says it's doing.' We want to know whether the program that they're implementing is one of the most evidence-based and cost-effective that's out there." In other words, do the charity's activities actually accomplish its larger mission? How can you determine if the charity is on track — and operating in a cost effective way? One strategy is to rely on a vetting organization that you trust. GiveWell, for instance, does deep dives into data sources such as randomized controlled trials in which academic researchers have compared how a particular intervention — say giving people in malaria zones a free bed net treated with anti-malarial insecticide — compares to doing nothing. In this case the evidence in favor of the bed net strategy was extremely strong. And it's part of why GiveWell included the charity Against Malaria Foundation on its 2018 list of eight recommended charities that give you the most bang for your buck. For charities that are not on GiveWell's list, Hollander says it's still possible to insist on evidence to at least some degree. When you look over the kind of pitches a charity puts together on its website, for instance, "I would ask what is the case they're making for why their program is effective. What are the main outcomes they are going for, and do they collect any evidence to demonstrate that those outcomes have been achieved." Then, says Hollander, use your judgment as to whether the forms of evidence they're collecting seem appropriate and convincing. Then again ... don't get too hung up on evidence. Hollander says it's worth keeping in mind that there are plenty of worthwhile causes for which evidence is necessarily going to be slim. Take charities that support research and other activities to prepare for future pandemics. "It's going to be very challenging to say with certainty, 'Here is the likelihood that there will be a pandemic of a particular sort a hundred years from now, and here's the evidence that this particular way to approach preparing is the most effective,'" she says. There's not going to be an evidence base on par with the evidence for, say, malaria prevention efforts. And yet, says Hollander, the effort to prevent future pandemics could be a much more cost-effective area to which to direct your charitable donations. And even GiveWell offers a list of "standout charities" that seem promising but that don't have enough evidence behind them to put them in its top charities list.